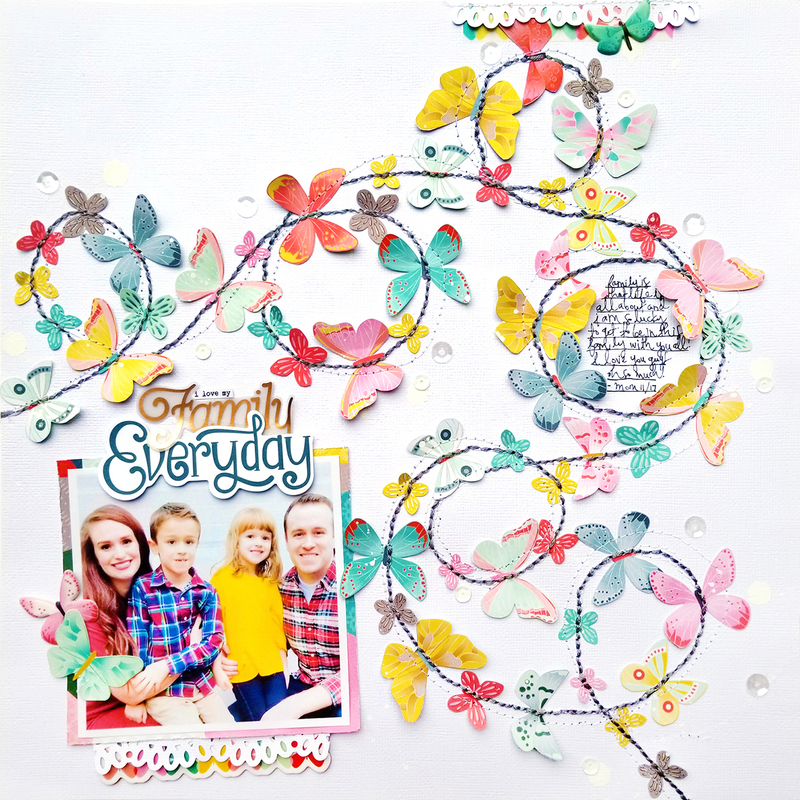 Sharing my third of four layouts from Paige's Pages 15 class at Big Picture Classes! 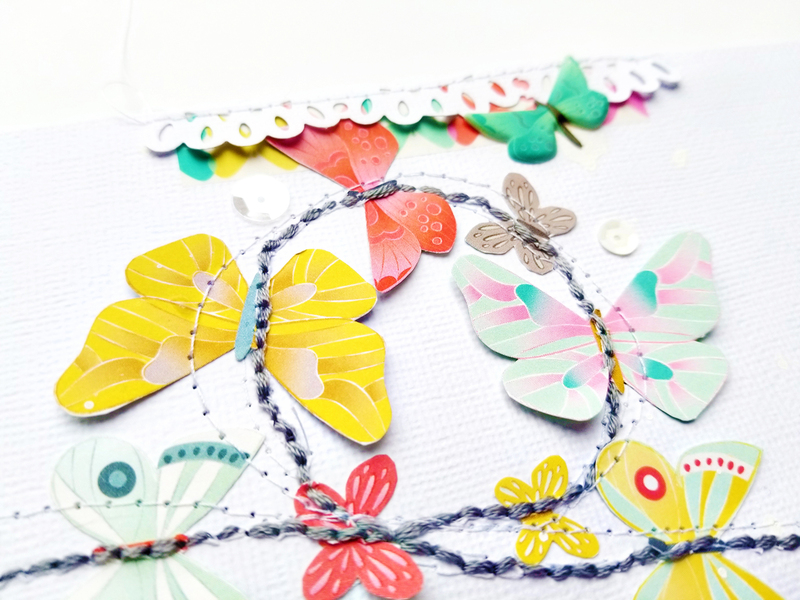 You know how much I love stitching so I mixed both machine and hand stitching on this page to create faux butterfly trails. 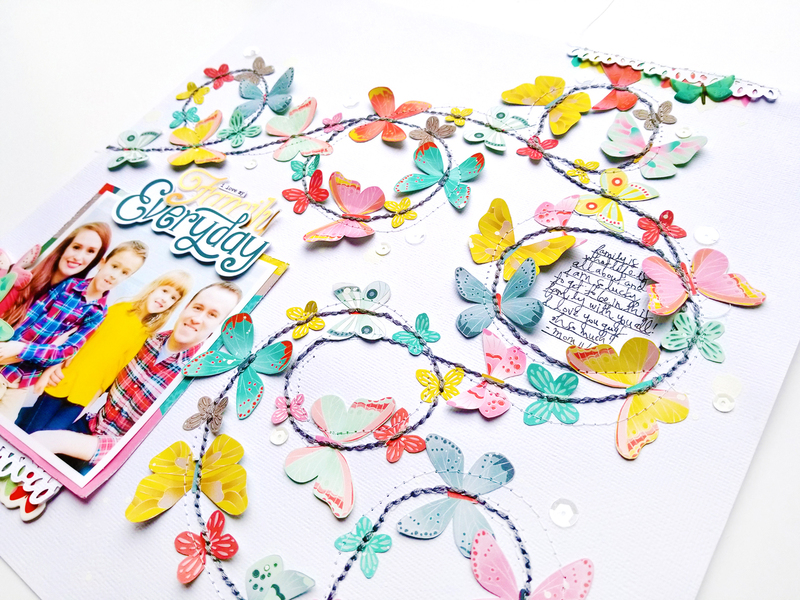 I began by fussy cutting the butterflies from Turn the Page Paper 04. I fussy cut them allllll and have been using them on projects ever since because I only ended up using a few dozen here. 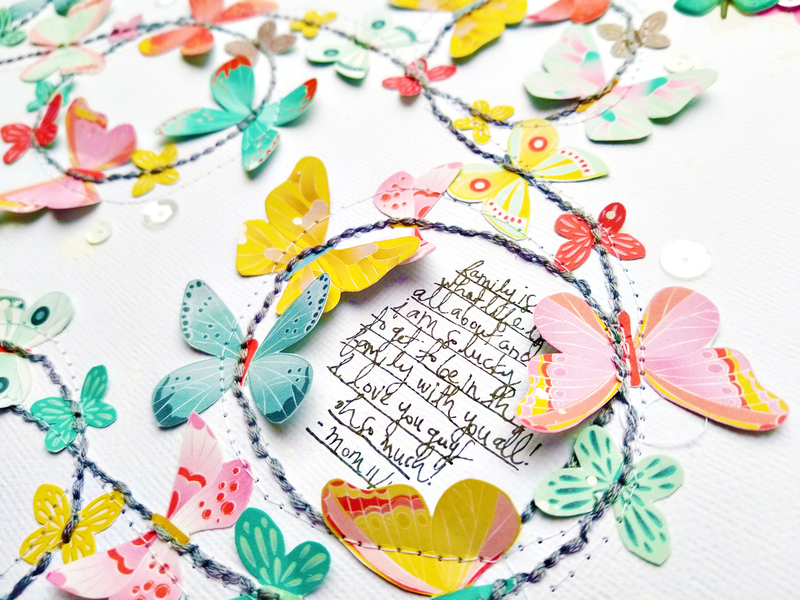 Once I had all the butterflies cut, I hand drew loops for trails over and around the page and machine stitched over them with white thread. Then to help the trails stand out even more I backstitched through with gray thread. From machine stitching to hand stitching and adding paint splatters and sequins, I love all of the texture and attention created by the trails. This design can also be used for other things that fly… airplanes and paper airplanes, birds, other bugs… it’d be fun to try with any number of icons. The start-to-finish process video can be found over in the class if you're interested to see exactly how this layout came together! This is ABSOLUTELY GORGEOUS!!! I love love love that photo, the butterflies, and how you did the stitching!!! Just BEAUTIFUL!!!!!!!!!!! !